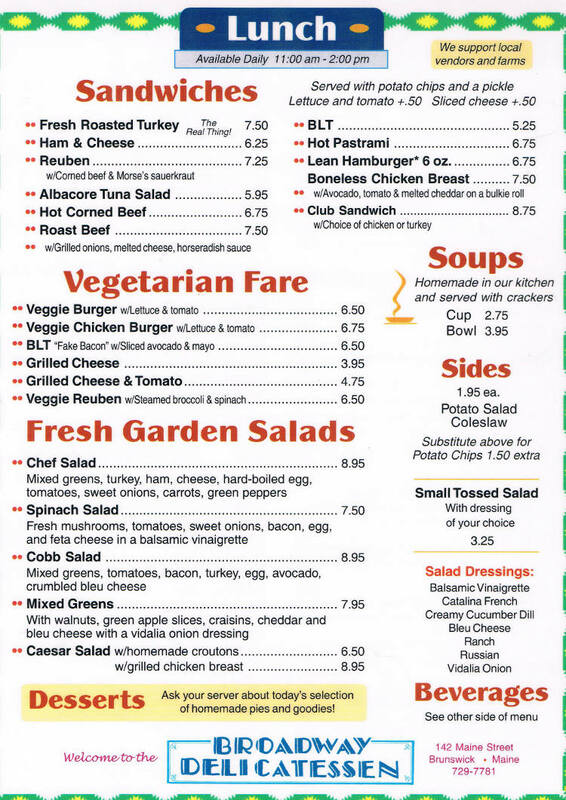 Broadway Delicatessen in Brunswick Maine is a great choice for Breakfast or Lunch 7 Days A Week. 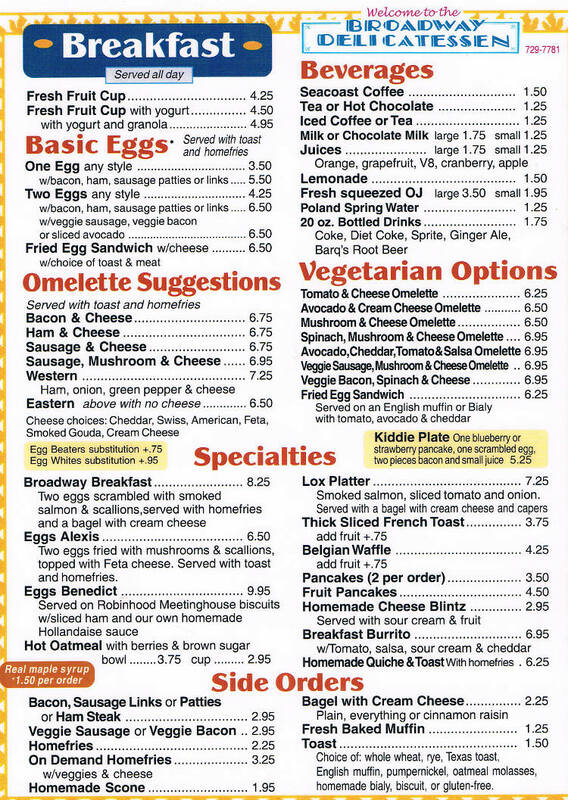 Try one of their specialty Breakfast items or favorites like Belgian Waffles, Eggs Benedict or Vegetarian Offerings. Lunch is also a great option. Dine in or Takeout, at Broadway Deli, everyone is a star.